Established in 1923, the UC Hockey Club is one of the longest standing clubs in the Canterbury region. We have a strong tradition of success at regional, national and international level and throughout our history we have proudly helped to produce some of New Zealand’s finest players and coaches. The club remains one of the most successful clubs in Canterbury, if not in New Zealand. Our greatest success was from 1967-80, when the club won the Premier Men’s title in fourteen consecutive years. This successful era was lead by the late Cyril (C.V.) Walter, a man who single-handedly transformed University, Canterbury and New Zealand hockey. C.V. captained New Zealand for one test against Australia in 1948, and his association with UC Hockey as both a player and coach spanned 54 years. Not only was he the coach during the “golden period” but also highly successful with the women’s team throughout the late 50s and early 60s. His contribution towards University went far beyond our club and hockey; he was instrumental in raising the credibility of National University “Blues” and the stature of university sport, and was a member of the National Blues Selection Panel from 1949-1974. It was the commitment to our club and university sport that saw him awarded the first life membership of the New Zealand University Sports Union in 1960. A year prior to his death in 1988, CV was awarded the Queen’s Service Medal for service to sport. 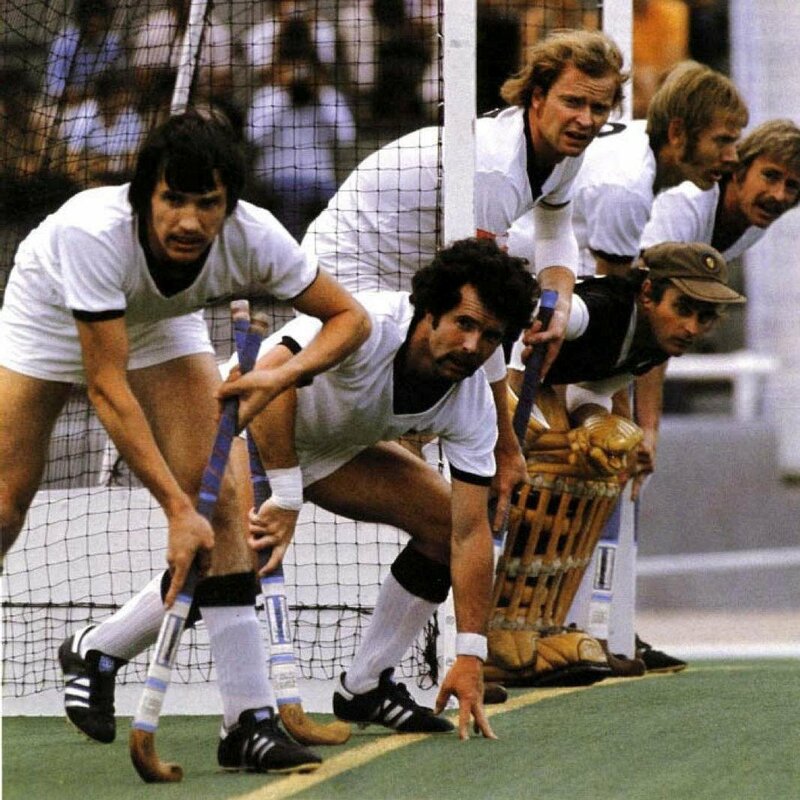 Six players, all of whom had played at the UC Hockey Club under C.V. were selected for the 1976 Olympic Games in Montreal: Paul Ackerley, Thur Borren, John Christensen, the Maister brothers Selwyn and Barry, and Tony Ineson. To this date, the success at these games still rates as New Zealand’s highest achievement on the hockey world stage. It was former club player and Black Sticks Captain Tony Ineson who sealed the win for New Zealand, with a penalty corner conversion just after half time in the final against Australia. The club has had great success throughout the 90s and into the new millennium, aided in part by the scholarship system set up by Thur Borren. This program allowed the club to help develop future Black Sticks and NHL players in both Men’s and Women’s clubs. To this day our players have continued to shine at both a national and international level. We are proud of the achievements made by all our players and their involvement with us. In 2012 the club also boasted 2 of Canterbury’s 3 Junior Black Sticks squad members, 6 of 18 Canterbury Cavaliers, and 4 of 17 Canterbury Under-21 players – together representing UC Hockey on the national and international stage more than any other club in the region. We continue our proud legacy to this day and welcome you to join us!